Welcome to Mebane Presbyterian Church! Glorifying God by Welcoming to Fellowship, Growing in Faith, Sending to Serve. We’re a congregation of the Evangelical Presbyterian Church in the Presbytery of the Mid-Atlantic. Please check us out, and we hope to see you at 402 Fifth St. on Sunday mornings at 11 a.m. or at some other activity. 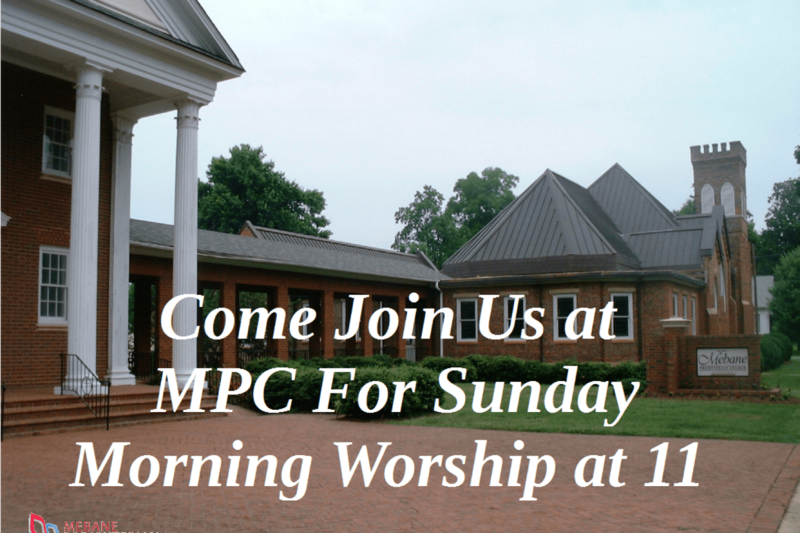 Our Sunday worship services are being live-streamed and are available on the internet at Mebane Presbyterian EPC videos YouTube.